Summer means camping and campfires which equals s’mores! We love s’mores! There are some great recipes that take the classic s’mores combination and make into a treat you can eat all year long. We’ve tried a few different smore’s recipes over the years and here are some of my favorites. Classic Honey Maid S’mores – Make the classic in your microwave for family movie night. The perfect treat without the fire. S’mores Bars Recipe – This yummy twist on the favorite campfire treat can let the kids remember the fun of summer as an after school snack. Sure Fire No Fire S’mores – This one is just like the original but one you can make without the campfire. Pot of S’mores – This looks yummy! A fun treat to make for family movie night when you can’t be sitting around the campfire. S’mores Sundae – A great twist eating with ice cream. Another favorite of ours! Cookout Caramel S’mores – The classic favorite with a touch of caramel. Yum! Easy S’more Clusters – Easy to make! I think these work great at birthday parties. Microwave Peanut Butter S’mores – If you could add one ingredient to a s’more what would it be? Peanut butter! Make Ahead S’mores – Perfect treat to make and take on a family road trip when you might not be able to have a fire to roast marshmallows but may want your favorite camping treat. S’mores Cereal Squares – These are a great treat for after school snack or perfect to have on hand when company comes over. 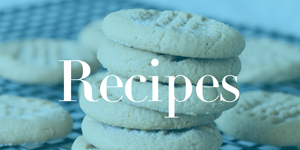 So the next time you and your family are looking to make smores, try one of these new recipes and come back and let us know what you thought! These great recipes can be made for family movie night, parties, after school snacks, or just because you are craving your favorite summertime snack!